The late South African President Nelson Mandela would have turned 100 in July. Now a French musical, Madiba the Musical- a celebration of the Life of Nelson Mandela, is set to tour Australia and New Zealand. The composer and lyricist Jean-Pierre Hadida spoke with David Spicer ahead of the production’s English translation premiere. What inspired you about the Mandela story? I can say that Africa inspired me a lot. It is such a wonderful continent, where heart and mankind make one. You can feel all this energy of Africa, to make a show that has great moments of happiness and hope. The second thing that inspired me was the amazing story of Nelson Mandela – somebody who spent 27 years in jail, who was a Nobel Prize winner, then President of South Africa. Those kind of stories in a musical make people very happy. I love the phrase ‘music and dance make me at peace with the world’. Where did this production originate? We started in Paris in 2016. We played 60 performances – the theatre was full every night with standing ovations. What are the musical styles of Madiba? There are some traditional Broadway songs, there are some reggae songs – from Soweto, the narrator makes some rap music because we want to appeal to the young, we have traditional African music like The Rainbow Nation and some funk pop music in the final song. The common point is strong melody. First of all I am a musician. I love Claude-Michel Schönberg (the composer of Les Misérables). He encouraged me to write. I met him several times. Another musical I love is Rent. How does the musical theatre scene in Paris compare to other places? It is a bit different. We call it musical show. Sometimes they are not very strong with the book. It is like a concert with lots of dancers, lights and strong pop songs, but the story is a little bit weaker in France. More and more we are like Broadway. Les Misérables was not very successful at first in Paris. The writers went into London and Cameron Mackintosh said you have got a treasure, and the story started again. Where else has Madiba been on? We have played in French language in North Africa, West Indies, and are going to Senegal. This will be the first production in English. Does the musical sound better in French? I love English language. You might say French is romantic but I say English is romantic. It is very smooth. English lays down on the note. You feel like music is in the air. This is not a direct translation but an adaption. Is the Mandela estate involved? Yes, we are very lucky. The grandson of Nelson Mandela saw the show in Paris and he told me it was the best story he had seen about his grandfather. We are supporting his foundation, helping lift children out of poverty. 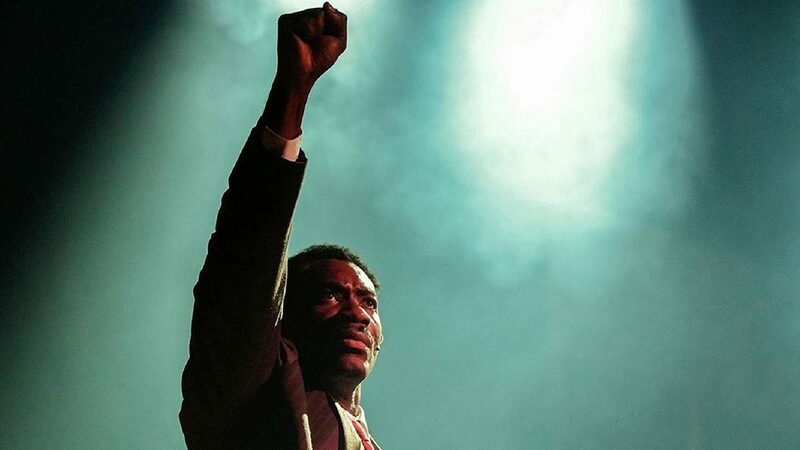 Madiba The Musical opens in Melbourne in October and will tour to Sydney and Canberra in November, with dates and booking information for Perth, Adelaide and New Zealand to be announced.